"This book is great. It no only comes in English, but in other languages as well. My children are bilingual and reading in other languages is a must. I like their reading word interface. When a word is touched, the word jumps out and is read, really fun to see!" 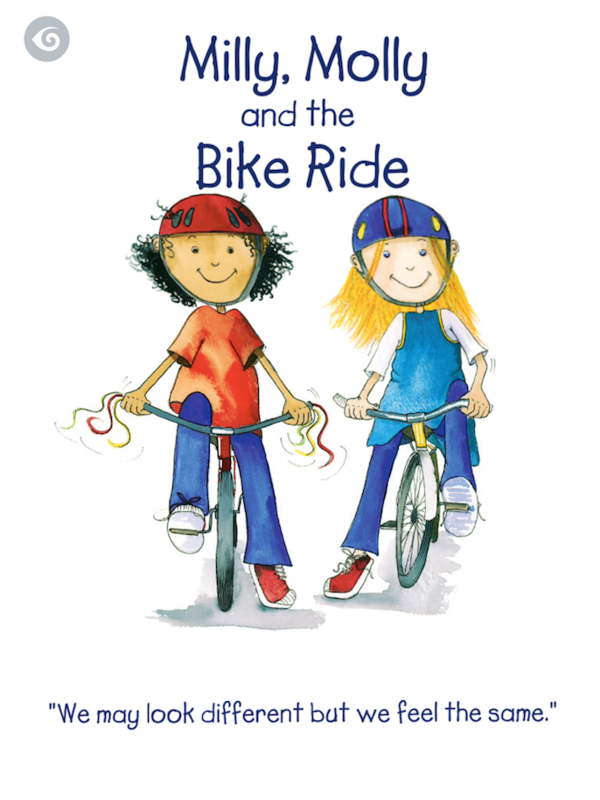 "Children love to spend their most of the time in reading this book as well as in recording." 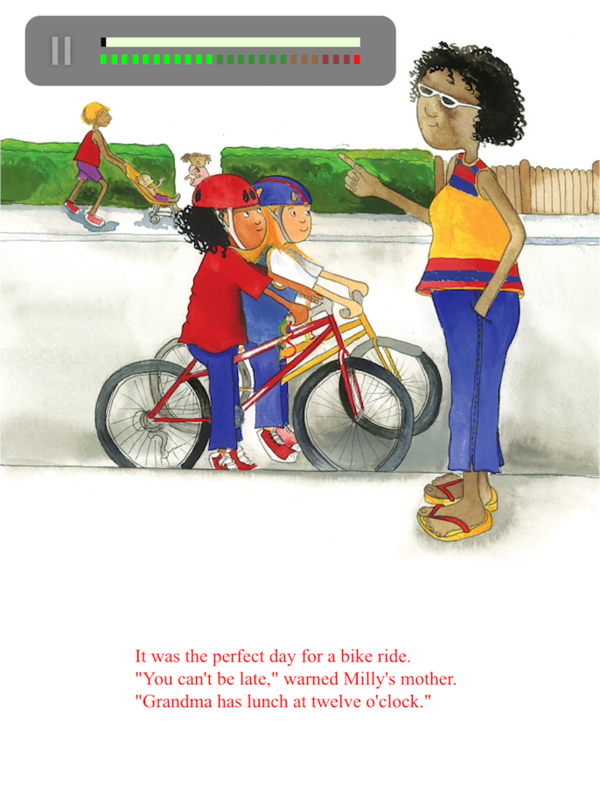 Milly and Molly remind themselves of the time when distractions interrupt their bike ride to Grandma’s and they arrive punctually at twelve o’clock. 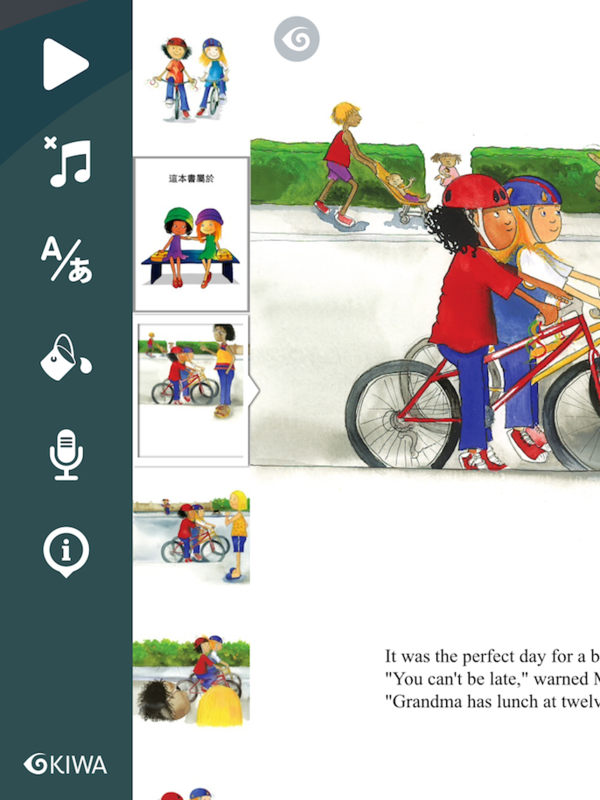 Features Swipe-to-Read, Touch-to-Hear, Touch-to-Spell, Read-to-me, and Read-it-myself. 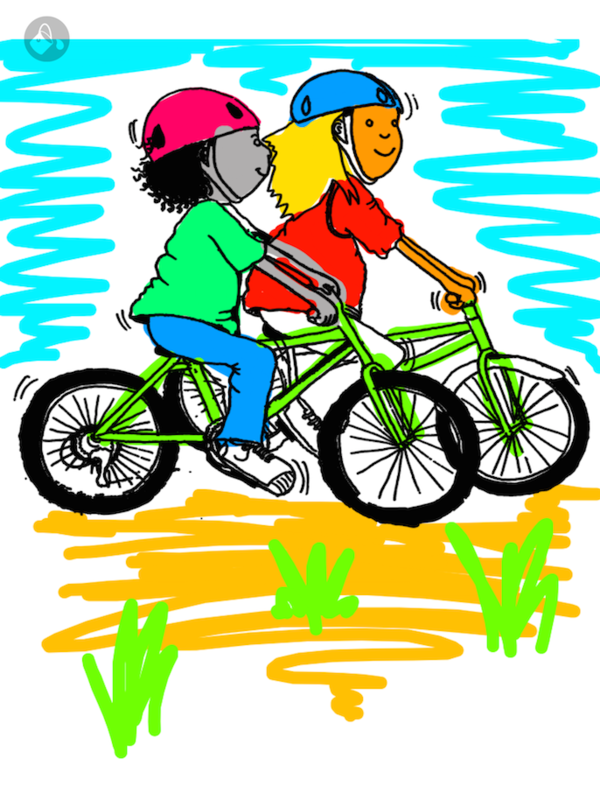 Children love to record their narration, colour in the illustrations, and enjoy animation, sound effects, music and memory and puzzle games. For bilingual families, text and audio is in the following languages: English, Spanish, Italian, and Chinese.